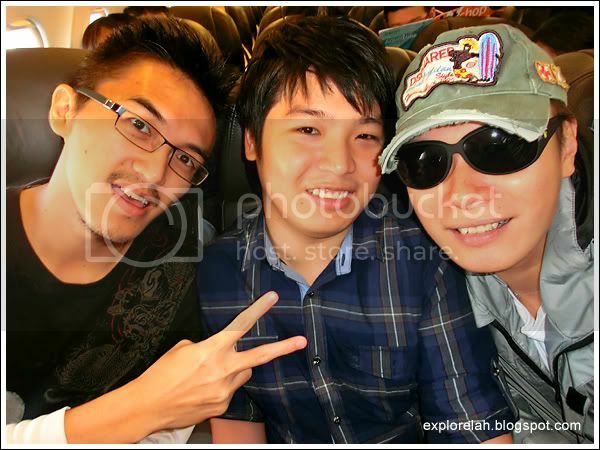 With Shawn (left) and Kevin (middle). Shawn is ever full of creative ideas and Kevin is a walking encyclopedia about cameras. Love working and learning from these 2 amazing graphic designers. In case you think I do nothing except travel around and blog about the places I've been, I would like to think like you too! But I do have a job. The company I work for is called Digimagic Communications and we specialise in interactive multimedia production for events, exhibitions, galleries, museums, corporate presentations, as well as but not limited to, consumer-centric marcomm programmes. So we're here to get inspired by new technologies and working them into the solutions for our clients. So what's my role in Digimagic? I'm a public teapot where leaves and hot water are poured in and I try to infuse a pleasing drink that our clients and their clients can delight in. To say it simply, I'm a teaboy lah. 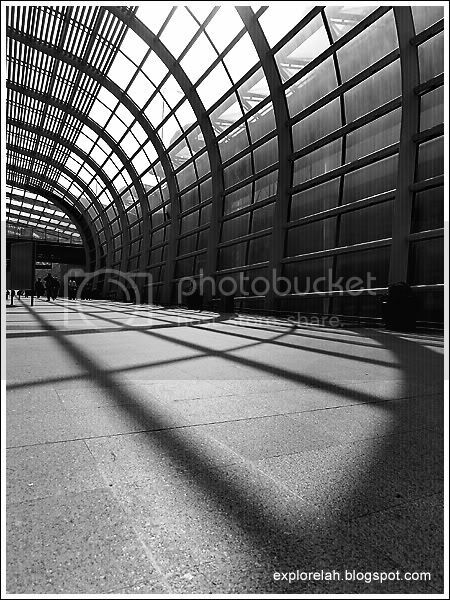 Shadow and light at Hong Kong International Airport. It takes about 4 hours to fly from Singapore to Hong Kong. This is my third visit to Hong Kong (香港), which means Fragrant Habour. 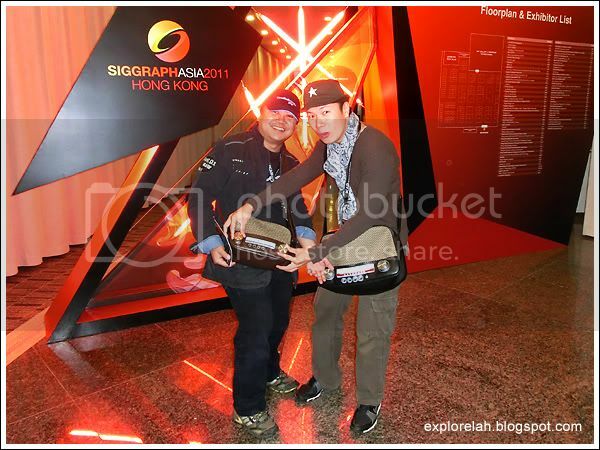 First visit was in my early teens, the second time from winning the Best Lifestyle Blog in 2010, and now for SIGGRAPH Asia 2011. 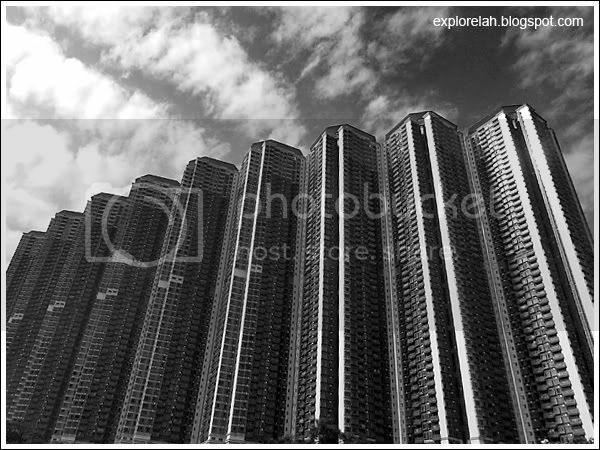 To me, Hong Kong is a city forever on its feet. You snooze, you loose; and its people are in such a hurried pursuit of efficiency that basic courtesy and pleasantries are an inconvenience. But this trip changes my perception quite a bit. For one, the Hong Kongers are definitely more friendly even though they still prefer to mind their own business than to voluntarily come over to help youy when they see you struggling with a map. In Caucasian countries, I find that if I stood there long enough to try and not get lost, a stranger will come forward and point me in the right direction. So whenever I see tourists trying to make sense of their Singapore map, I would usually go up to them and try to help. I want them to remember not just the sights, but the Singaporean hospitality. 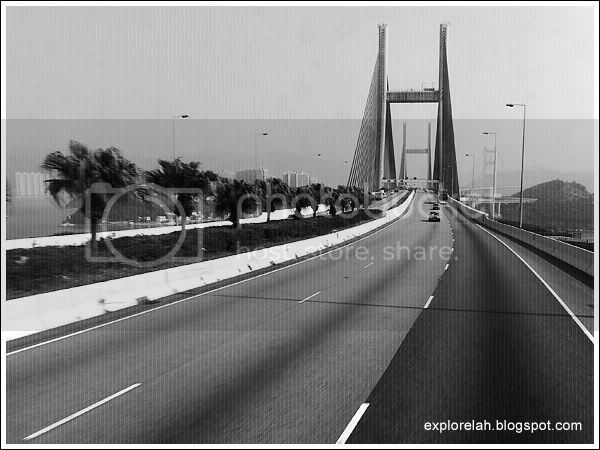 Crossing the impressive Tsing Ma Bridge, currently the world's 7th longest suspension bridge which was completed in 1997, the year Hong Kong was returned to China. The photo is in B&W because the sky was smoggy and lacked detail so I thought monochrome looked better. ﻿﻿As with my last trip, one of the the first things I noticed about Hong Kong was the shroud of smog that envelops the city. It made the sky look grey and visibility was rather poor at times with landscape sceneries losing their definition. 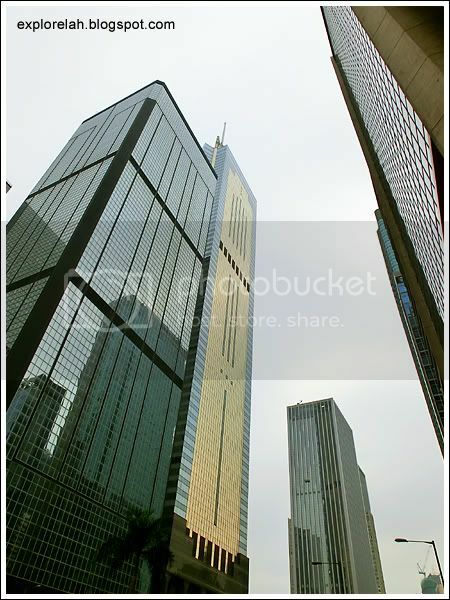 The second unmistakable trait that says Hong Kong is the crowding of tall buildings that try to outdo each other in height and squeezing in as many units as possible within the vertical spaces. It's the Amazon of all concrete forests. 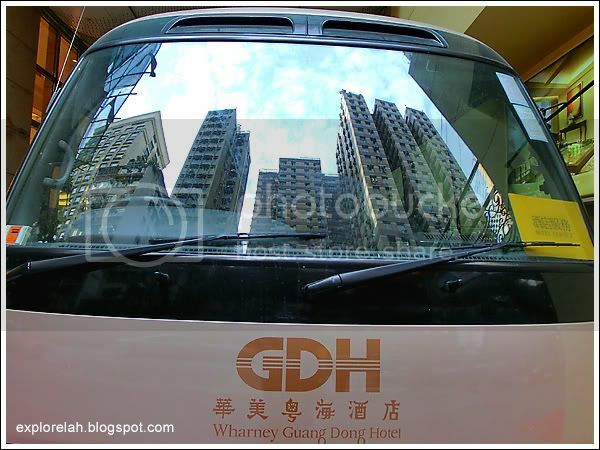 Stayed at Wharney Guang Dong Hotel at Wan Chai. A pretty decent accomodation choice that's great for anyone who loves to party as the clubs and bars that lined the road it sits on (Lockhart Road) pack in the crowds even on weekdays. Hookers of African, Chinese, Thai and Filipino origin also ply Lockhart Road for some rockhard load. With all the tightly-knitted buildings, neon signs and things happening at every inch on the streets of Hong Kong, the claws of claustrophobia are never far to stroke the nave of my neck. SIGGRAPH, short for Special Interest Group on computer GRAPHics and interactive techniques (the name is so long right? ), is an annual convention that brings together innovations in the area of digital visual arts and technologies that enables or enhances them. Getting in tune with the exhibitory techniques of tomorrow, today. I was so surprised to see my colleague Shahid carrying the same bag as me. He bought his retro-radio bag in Taipei a year ago for about S$30. I bought mine a month ago at Bangkok's Jatuchak Market for 350bht (S$15). 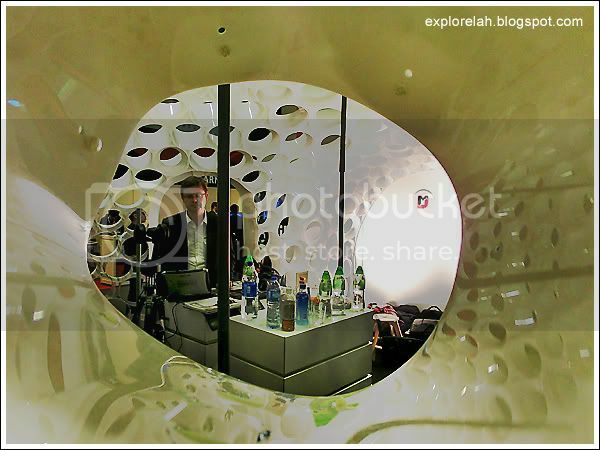 The most unique booth was this white, puffer-fish inspired structure. I thought it looked more like a cross between a sponge and a brain coral. The company also developed small button pins and coasters that I thought were rather cool. Instead of putting their company logo on, they used symbols of their products and they became a collectible rather than a promo item that I will throw away. Problem was, I don't know what's the name of the company! 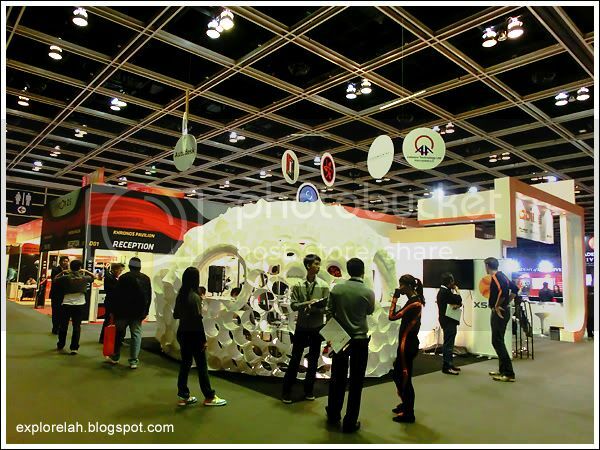 The event was zoned into various areas for conferences, talks, trade exhibitions and emerging technologies (pictured here). I found the emerging technology zone to be the most interesting but the hapzard layout of exhibitors felt kinda like a techie wasteland. 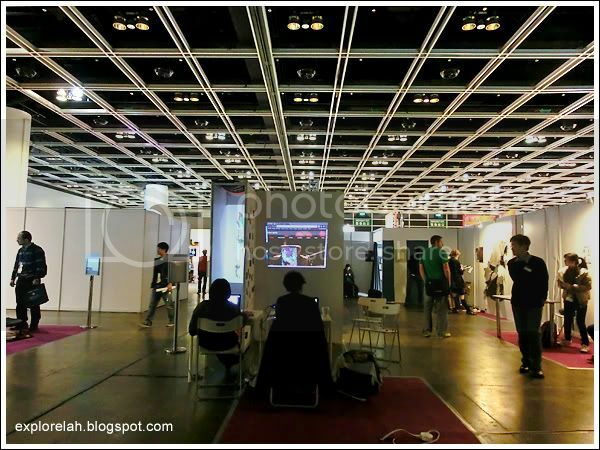 3D technologies get a huge showing at SIGGRAPH Asia 2011 with almost every exhibitor having something 3D to showcase. 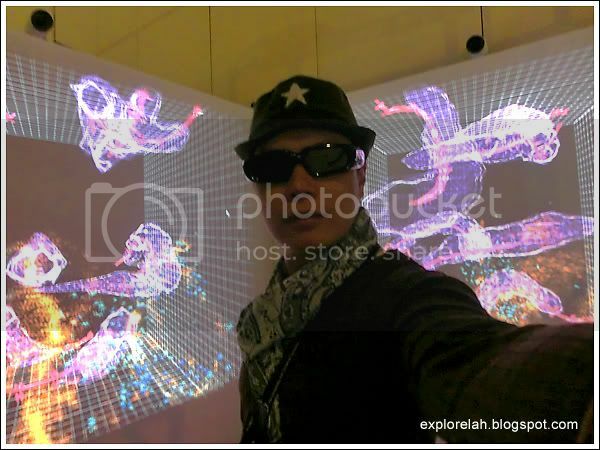 I saw 3D wall-projection, 3D LED wall, interactive 3D 'live' television and 3D virtual games. All of them used simpler 3D glasses or devices to bring on the 3D experience. Cool! Attended a talk by Industrial Light and Magic Singapore who participated in the production of all 3 Transformers movies. The presentation took us behind the animation scene to illustrate layer by layer how disaster scenes with the robots were put together. It made me appreciate CGI at a whole new level even though quite a bit of the tech terms were Greek to me. 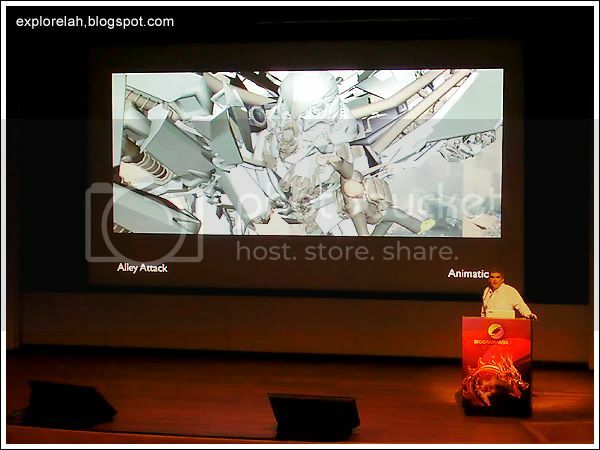 My favourite at SIGGRAPH Asia 2011 was this upcoming animated feature still in production titled The White Rabbit (TWR). I love the humanimal look of the main character and the concept of having a transparent glass globe for a body that showed what's contained within the person. One had a tree weeping leaves while a pregnant character had a child prancing about in her glass abdomen. This is the first time I've attended SIGGRAPH and I felt rather lost. I'm not versed in tech talk neither have I acquired the eye to spot their applicable potential. I'm still at the consumer level where I appreciate better the finished product rather than understanding how things work. SIGGRAPH was a place for the latter. As I mentioned earlier, I convinced my friends to give me an insight into how they live rather than prowling the tourist trail. Reluctantly, one of my friend who's an investment adviser opened his house to me. The corridor leading to my friend's unit is a sardine jacket. A small flat unit made smaller by hoarding. 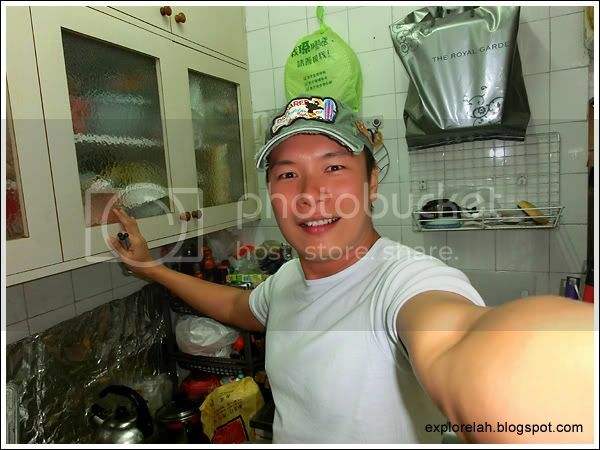 I always complain that my HDB flat's kitchen is tiny. Now I've seen microscopic. The kitchen in my friend's 1-room-1-hall apartment had hardly any space after I stepped in. 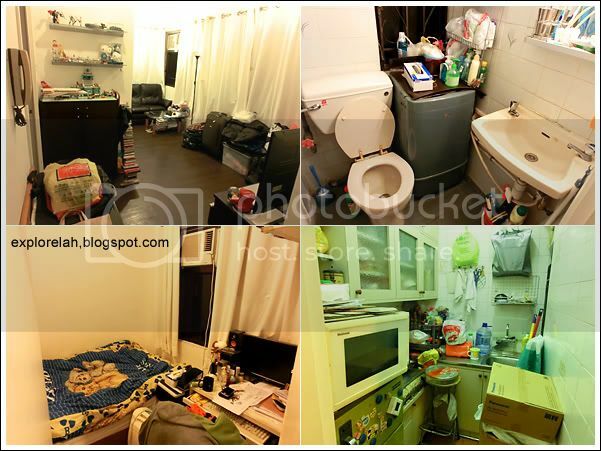 I've lived in a one-room HDB flat at Jalan Tenteram for quite some time previously. Did I mention that my family was rather poor? So I can understand the lack of space and privacy. My friend lives with his mother. I was staying with my mum and grandmother back then in that postage stamp sized unit. The only difference was, mine was a government-built public housing for lower income families. My friend's was a private apartment equivalent to our condos. His plankton flat commands a value in excess of S$250,000 at the point of my visit. 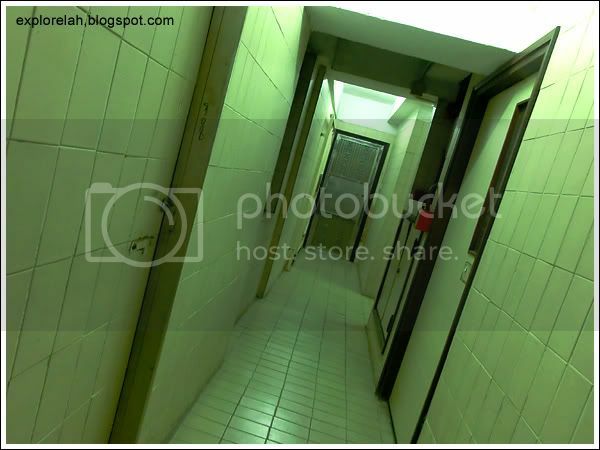 I really appreciate our HDB flats in Singapore now. 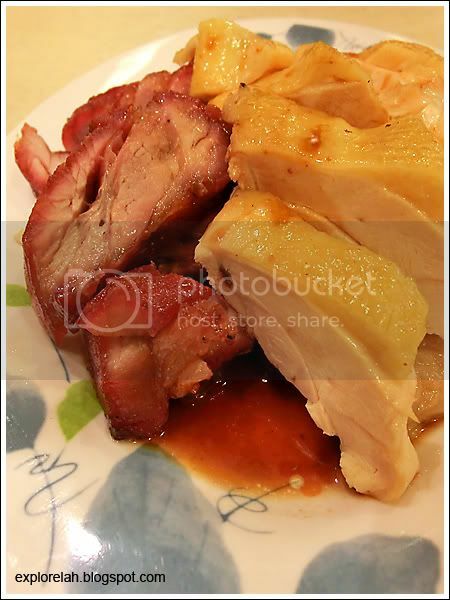 HK is famour for its Xiu Mei (roasted meats). I had so much roast pork, roast duck and char xiew during the 2 days, I found that I smelt muskier than usual. 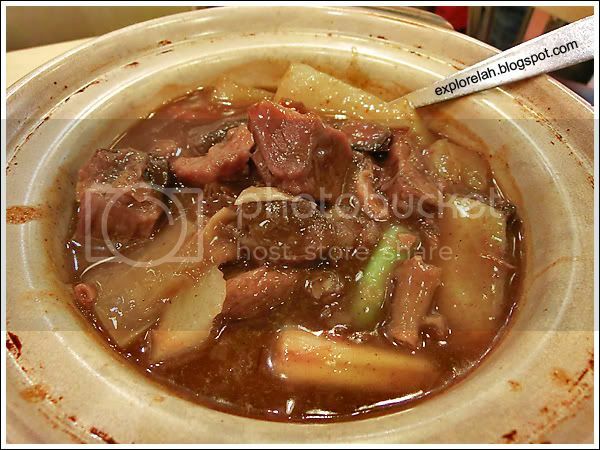 Claypot Beef Belly and Tendons Stew with White Raddish. Moo-vellous!! 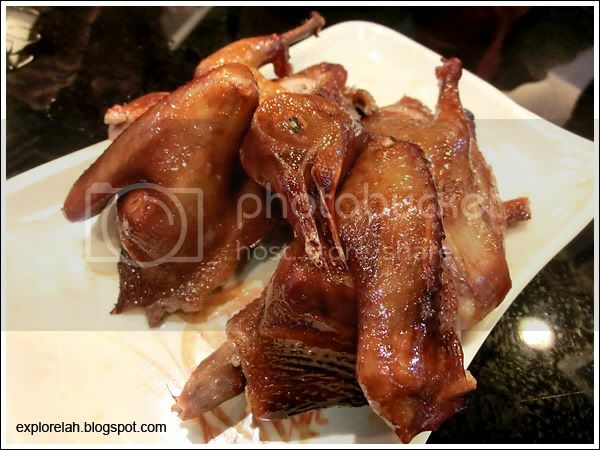 My fave... Roasted Pigeon. It tastes kinda like duck but the meat is finer. Had this at Hay Hay Restaurant along LockHart Road at Wan Chai. Love the glass glaze on the skin. 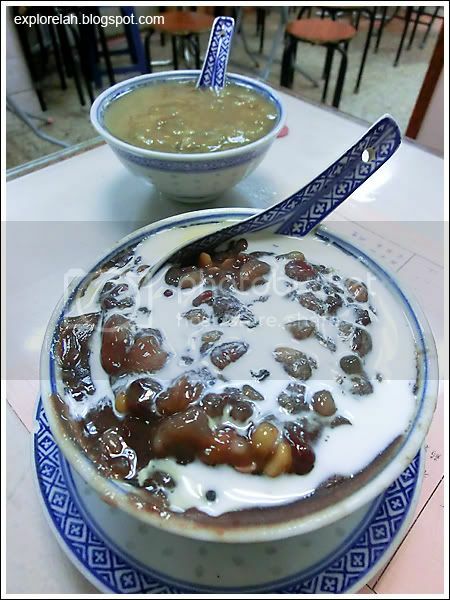 Another must-try while in Hong Kong is their authentic cantonese Tong Suei (dessert). My friend brought me to a local Tong Suei specialist near his place and I had Zha Zha, a thick concentrated soup of several types of beans. 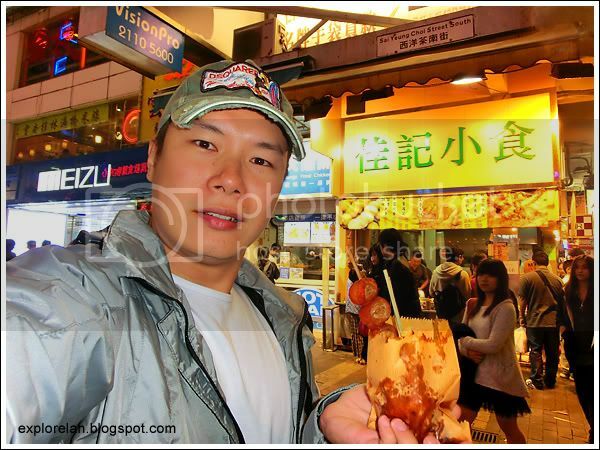 A streetside snack shop that is a must-visit each time I'm in Hong Kong. 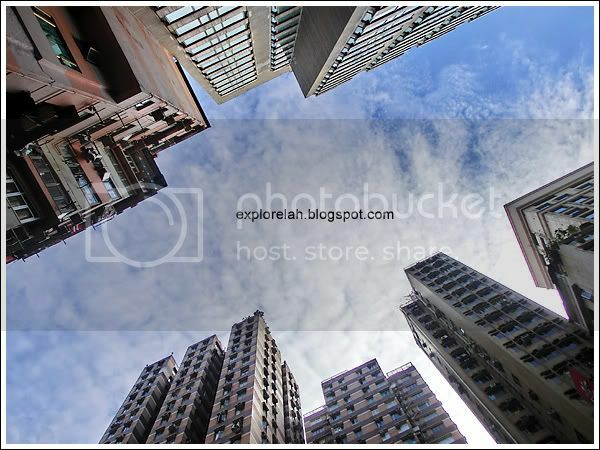 It is located at the end of Sai Yeung Choi Street South. Just come out of Mongkok MTR Station, look for the exit with the street name and walk all the way down. 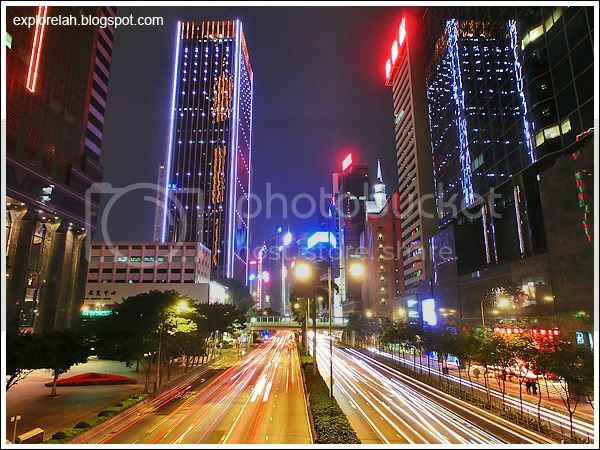 Sai Yeung Choi Street South is a very popular night shopping street in Hong Kong. Around its vicinity is the famous Lady's Market. 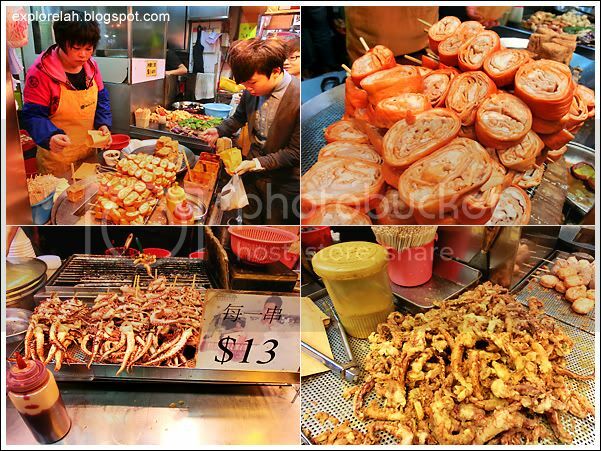 Skewered deep-fried pig intestine (HK$10), BBQ teriyaki squid tentacles (HK$13) and salt-and-pepper battered squid tentacles (HK$16) can be found here. 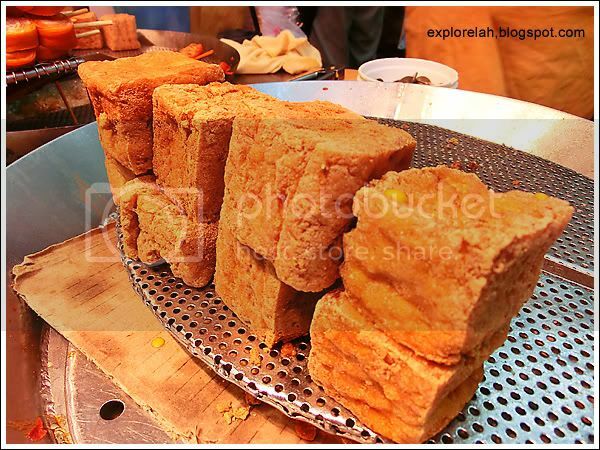 But the delicacy I'm really looking for here was the Deep-fried Smelly Beancurd (HK$9)! It stinks like sewer but has this full aroma when bitten into. Yums! I've always felt that eating in Hong Kong is generally expensive and food is rather oily with all that Xie Mei, dim sum and meat dishes. But once in a while, it's ok to indulge which I totally did! I wonder how does the local people stay slim with this kind of diet. I hardly notice many plus-size Hong Kongers around. I guess with living quarters that small, you don't have the space to grow fat. 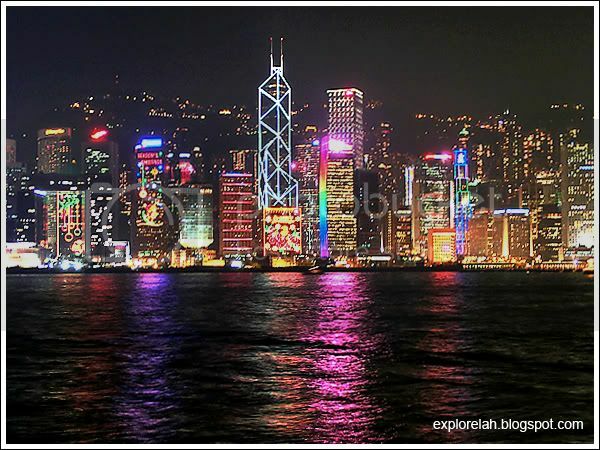 One of the most bewitching time to see Hong Kong, in my opinion, would be at night. During the day, the tall buildings blocked off any view but by night, the thousands of neon signboards and lighted buildings created a sort of urban magic that is beautiful and disconcerting at the same time. I love Hong Kong at night. I took the ferry across Victoria Harbour for the first time. It's really cheap at only HK$2.50. 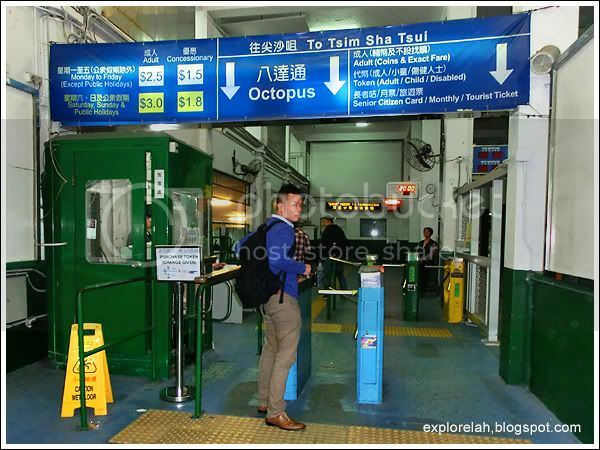 The ferry shuttles between the piers on Hong Kong Island and Kowloon regular;y and the ride takes only about 10 minutes. Waiting area at the pier. I am amazed that the Casio Exilim ZR100 can achieve this level of depth of field with me sharp and the background wonderfully blurred. Onboard the ferry. I'm the only white amongst the blacks. 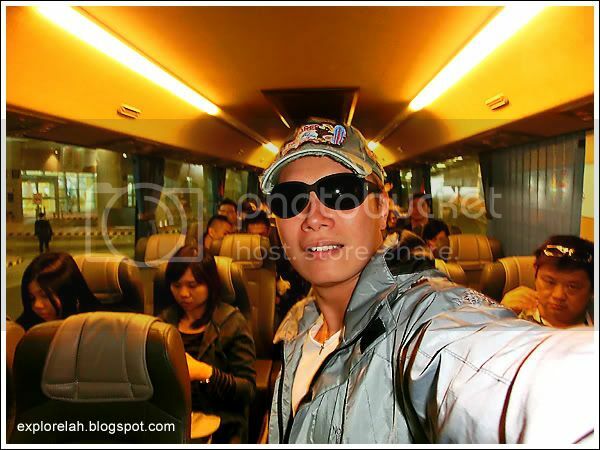 Lately, my travel posts have more photos of me because if's so easy to take self-portraits with EX-ZR100. 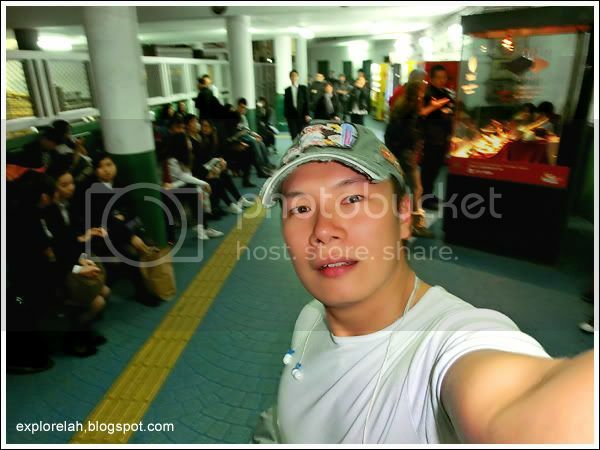 The camera angle is very wide so it's really great to cam whore with while showing the environment I'm in. Best time to take the ferry across the harbour is 8pm as it coincides with the light symphony show where buildings on both shores will be lighted up. Shot this in EX-ZR100 High Speed mode as the boat was bobbing and the lights were moving. 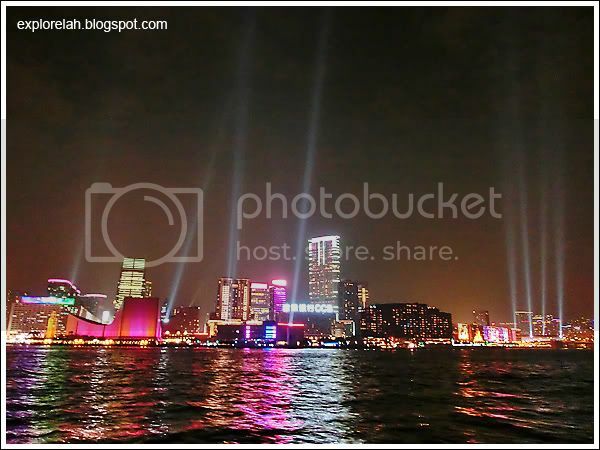 Hong Kong's harbour front night scene is famous for a reason. It's spectacular! 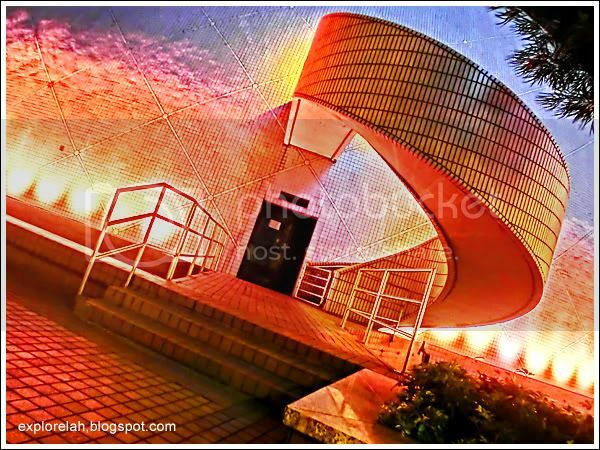 Side entrance of Space Museum. Photo taken on the pedestrian bridge leading to the Hong Kong Exhibition and Convention Centre. Shot in Manual mode (f7.2, 2 sec) on a mini tripod. 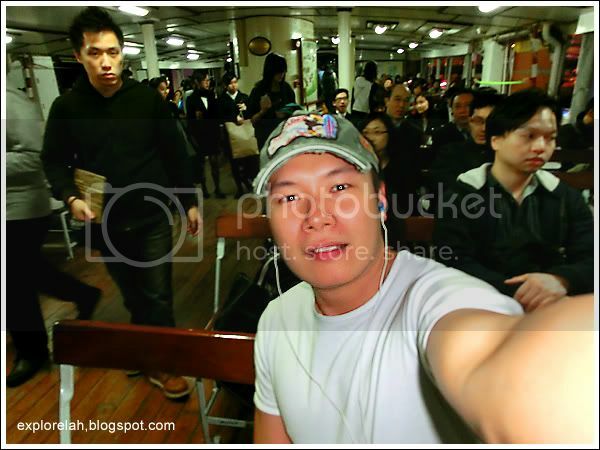 ﻿Well, this single post wrapped up the happenings during my recent trip to Hong Kong. I was here for a very short time so I didn't get to explore much or take more photos. Hope the entry provided you with a glimpse of what went on during SIGGRAPH Asia 2011, good eats and the look of Hong Kong as it dresses up in lights and puts on neon make-up for the night.